Let’s face it: the 2001 Angelina vehicle “Lara Croft: Tomb Raider” was a dopey, lifeless, joyless video game adaptation, but its 2003 sequel, “Lara Croft: Tomb Raider - The Cradle of Life” was something of an improvement and featured Lara punching a shark and then riding it to the ocean’s surface. Now, fifteen years later, the video game property gets a new beginning with “Tomb Raider,” allegedly more faithful to the rebooted 2013 video game, and auspiciously hands the starring role to Alicia Vikander (2016's "Jason Bourne"). With the bar on video game adaptations set so low, “Tomb Raider” comes out solidly on top on its own terms, tracking an intelligent, more relatable and even fallible heroine rather than a buxom, stoic cipher through a narrative of game-like levels and executing set-pieces that actually divert and excite. It's certainly inconsequential, but where it counts the most, a good deal of fun in the moment as an "Indiana Jones"-esque adventure. 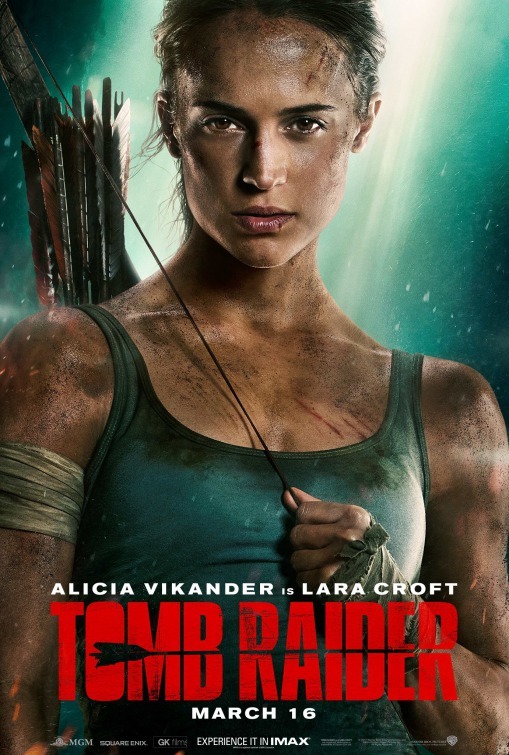 Lara Croft (Alicia Vikander) is an independent woman who didn’t go to university, instead working as a bike courier but barely able to afford her rent in East London. Her aristocratic father, Richard (Dominic West), has been missing and presumed dead for seven years, but Lara refuses to believe he’s actually gone. When Richard’s business associate Ana Miller (Kristin Scott Thomas) re-enters her life to tell her that she must claim her inheritance or sell it off, Lara holds off when she finds a key to her father’s secret lair filled with his life’s archaeology work. Taking it upon herself to find out what happened to him, Lara sets off to Hong Kong to find Lu Ren (Daniel Wu), who can take her on his boat to Yamatai, an uninhabited island off the coast of Japan that happens to be Richard Croft’s last-known whereabouts. 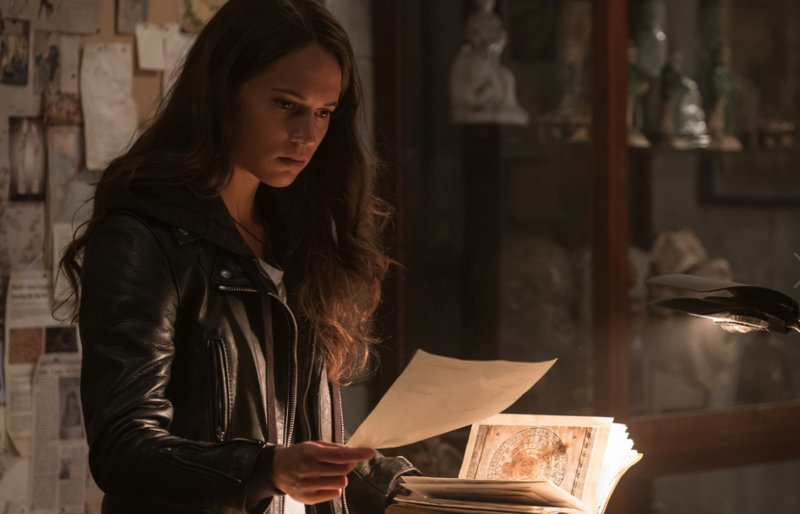 Once there, Lara crosses paths with her father’s rival archaeologist, Mathias Vogel (Walton Goggins), who hopes to raid the cursed tomb of Queen Himiko, the Mother of Death, to bring back a piece of it to shadowy organization Trinity. 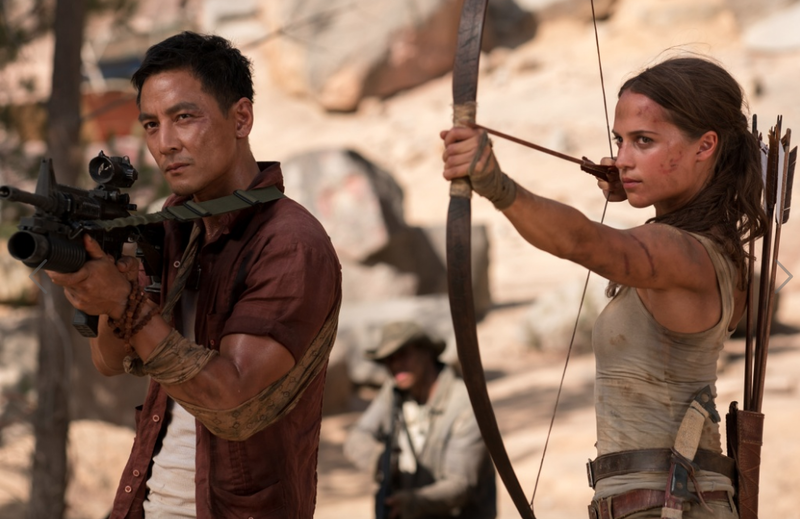 “Tomb Raider” offers as much nutrition as a jumbo-sized popcorn, but after screenwriters Geneva Robertson-Dworet and Alastair Siddons get all of the exposition out of the way, the film charges headlong with a driving momentum and keeps stacking the danger. Before Lara even gets to Hong Kong and then gets into a stormy shipwreck near Yamatai, there is a speedy, cohesively shot and edited "fox hunt" bike race around London with very little to no shaky cam, "Premium Rush"-style. 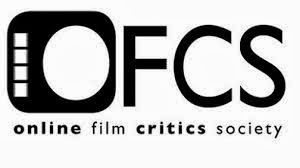 Director Roar Uthaug (2015’s “The Wave”) then devises a number of hairy, enthrallingly delivered situations for Lara Croft, particularly when she escapes Mathias Vogel and his cronies through the jungle, off a fallen tree and down rushing rapids, and then treads carefully on a rusted plane perched over a waterfall that leads her to her getting her hands on a parachute and falling through the trees. It’s a thrilling, tightly paced extended sequence that actually gets the viewer clutching their armrests. Once Lara eventually has to raid a spooky, elaborate tomb, the third act, full of booby-trapped spikes, falling floors, colored jewel puzzles, and a sarcophagus, is fraught with nail-biting tension. Alicia Vikander makes a far more appealing and compelling Lara Croft than Angelina Jolie ever had a chance to be across two movies. When we first meet Lara, she loses a boxing match, being put in a chokehold and then having to tap out. Actual emotional groundwork is laid for this Lara, having missed her father for all these years and now determined to find him, and she’s more capable as someone who has lived on her own without relying on her family’s money. Closer to a flesh-and-blood mortal than a video game avatar (with the one exception where she climbs a rock after a stomach wound), Vikander is also more vulnerable and flawed, making her journey worth caring about when she’s not bulletproof or invincible, just believably resilient, gutsy and resourceful in her problem-solving and physical challenges. Also, unlike Jolie’s portrayal, Vikander’s Lara doesn’t seem to be created in the male gaze (there’s no gratuitous shower scene of her naked back); she might spend the entire second half in a tank top, but she’s never sexualized. As an overhaul that endeavors to upstart a brand-new Lara Croft franchise, “Tomb Raider” rights all of the wrongs of its previous incarnations, injecting more heart and thrills than the 2001 and 2003 movies ever did and never wasting the talents of its star. Of the supporting cast, Dominic West is on screen long enough to efficiently establish the love for his daughter and the pain his disappearance has caused her. Daniel Wu (2017's "Geostorm") is an agreeable sidekick as Lu Ren, who gets Lara to the island but then gets less to do from there. Walton Goggins digs into another standard villain role, relishing in the purely evil nature of it without adding any layers, though he's been on the island for seven years and apparently has a family to get home to when he’s done raiding the tomb. Nick Frost and Jaime Winstone also pop up in comic bit roles as a married couple of pawn shop owners. 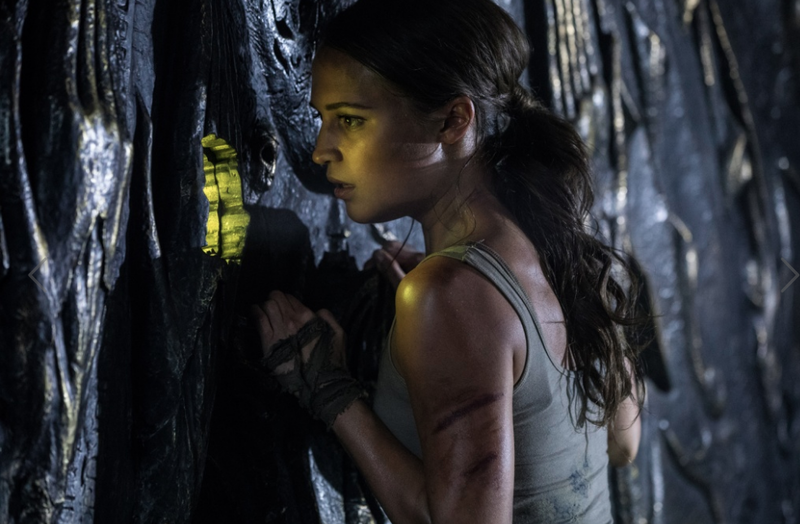 If Alicia Vikander's Lara Croft returns in the future, the prospect of a sequel is more promising than threatening, or if this is it, “Tomb Raider” is a diverting, muscular one-and-done outing.